In this range for Nikon D850, the Nikon AF-S NIKKOR 20mm f/1.8G ED lens is the best lens. You can also choose the third-party lenses: such as Sigma 14mm F1.8 DG HSM | Art, Sigma 20mm f/1.4 DG HSM Art, Samyang 14mm f/2.8 IF ED UMC and Carl Zeiss Distagon T* 2.8/15 ZF.2. Sigma 14mm f/1.8 DG HSM Art lens is the world’s first F1.8, ultra-wide lens designed for high-resolution DSLRs. From the list below, you can see the Sigma 35mm F1.4 DG HSM A lens is the best wide-angle prime lens, even better than the Zeiss Distagon T 35mm f/1.4 ZF2. The new released Nikon AF-S NIKKOR 28mm f/1.4E ED lens and Sigma 24mm f/1.4 DG HSM Art lens all also have super image quality, yet they are very expensive. If you are looking for affordable wide-angle lenses, you can buy Nikon AF-S NIKKOR 35mm f/1.8G ED, Tamron 35mm f/1.8 DI VC USD and Samyang 35mm F1.4 AS UMC lenses. As we all know, the Carl Zeiss Distagon T* Otus 1.4/55 ZF.2 lens is the best standard lens for Nikon D815, but the price is very high. You can also choose Sigma 50mm F1.4 DG Art and Tamron SP 45mm F1.8 Di VC USD (Amazon|B&H|Adorama|ebay) which cost no more than $1,000. You can even try DG HSM, Nikon AF Nikkor 50mm f/1.4D or Nikon AF-S NIKKOR 50mm f/1.8G lens at an affordable price (lower than $400). In this range, you can choose the Carl Zeiss Apo Planar T* Otus 85mm F1.4 ZF.2 for your nikon D850. If you are looking for a cheap telephoto lens for Nikon D850, you can try Nikon AF-S NIKKOR 85mm f/1.8G, Samyang 85mm f/1.4 Aspherique IF Nikon and Sigma 85mm F1.4 EX DG HSM lens at an affordable price. 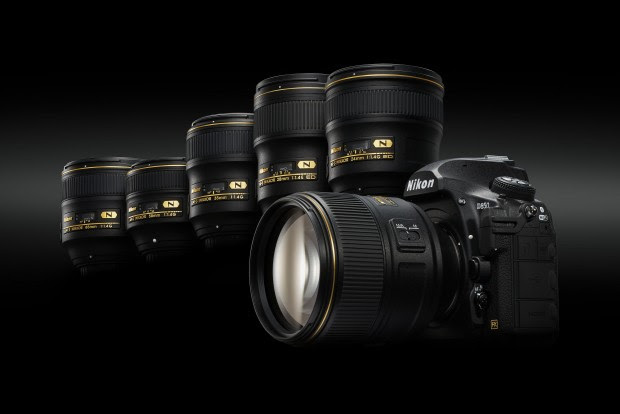 The new released Nikon AF-S Nikkor 105mm f/1.4E ED lens is the best-performing lens in the lineup below 200mm. In this ranger, it is clear Nikon AF-S Nikkor 200mm f/2G ED VR II, Nikon AF-S Nikkor 400mm F2.8G ED VR and Nikon AF-S NIKKOR 300mm f/2.8G ED VR II are the best lenses for Nikon D810. The new released AF-S NIKKOR 300mm f/4E PF ED VR lens is another best choise at an affordable price. So far, there a lot of good Macro lenses for Nikon D850 DSLR camera. Among them, the new released Zeiss Milvus 100mm f/2 Macro and Milvus 50mm f/2 Macro lenses have great image quality. if you are looking for affordable macro lenses, Tokina 100mm f/2.8 AT-X M100 AF and Tamron SP 90mm f/2.8 Di Macro 1:1 VC USD lenses are your best choice. The new released Sigma 24-70mm F2.8 DG art lens is the best standard zoom lens for Nikon D850. If you like Nikkor themselves lenses, you can choose Nikon AF-S Nikkor 24-70mm f/2.8G ED and AF-S VR Zoom-Nikkor 24-120mm f/4G lens. Tokina AT-X 24-70mm f/2.8 PRO FX lens is another excellent lens with high performer under $1,000.